The instructors of White Tiger realised that there was very little scope for children in the area to learn a Martial Art. Most clubs took children from 6 - 7 yrs of age meaning that younger children were left out. After being approached by a number of parents, the instructors saw the opportunity to provide Martial Arts training to those children from 4 - 7 yrs of age. With this in mind, Mr and Mrs Wanklyn sat down and devised a training programme that specifically catered for children of that age group, concentrating on the physical and mental benefits the programme introduces. There are eight key Tiger Cub’s Personal Development Skills including: focus (to improve listening and reaction skills); team work, control, balance (to improve coordination) and memory skills. Instructor Jill Wanklyn comments “The Tiger Cub’s programme is a detailed curriculum that focuses on improving pre-school age children’s basic motor and listening skills. These skills will help them enter society with a more confident and enthusiastic outlook. They will become better students at school, better listeners at home and more ambitious towards the future. We know the time between the ages of 4 and 7 are the most important years of a child’s development. Our programme will enhance positive development in a fun and motivating way”. 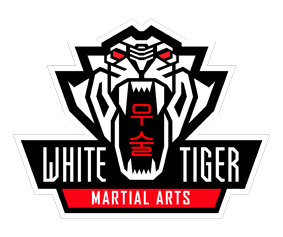 The Tiger Cub’s programme will also prepare your child for our main Martial Arts Programmes in Taekwon-Do or Kun Gek-Do (Korean Kickboxing). In the Tiger Cub’s classes, your child will be exposed to positive social interaction. They will learn how to work with others and follow directions from their instructors. Our Tiger Cubs instructors are good role models who are trained specifically to work with pre-school aged children and are enhanced DBS checked and qualified first aider’s. They have attended nationally recognised courses that allow them to recognise your child’s needs and apply this to your child’s learning programme. For Children from 4 - 7 years of age.